Steve Ballmer’s grand plan to reinvent Microsoft has garnered mixed reviews from industry analysts, ranging from enthusiastic endorsements to frowning skepticism. Some predict the reorganization will accomplish its goal of making Microsoft more efficient and innovative, and thus better able to compete against rivals like Apple, Oracle, IBM and Google. Others are concerned that internal accountability will drop and the company will become less responsive to customer needs and market inflections. At the heart of the restructuring, announced Thursday, is the dissolution of the company’s five business units—the Business Division, which housed Office; Server & Tools, which included SQL Server and System Center; the Windows Division; Online Services, which included Bing; and Entertainment and Devices, whose main product was the Xbox console. They’re being replaced by four engineering groups organized by function, around operating systems, applications, cloud computing and devices, and by centralized groups for marketing, business development, strategy and research, finance, human resources, legal and operations. Ballmer wants the company to operate more cohesively, so it can build blockbuster products that cater to the needs of people both at home and at work in a variety of ways. “The form of delivery of our value will shift to really thinking about devices and services versus packaged software,” Ballmer said during a press conference Thursday. “We need to move forward as one Microsoft, with one strategy and one set of goals,” he added. 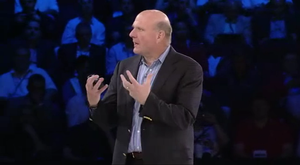 Teams will work in an interdisciplinary fashion on all major projects to make sure efforts are in sync with the overall goals of the company, according to Ballmer. Tom Austin, a Gartner analyst, is skeptical of this shift from business units to functional groups. “The business of business is business. Companies should be organized by major business units, not by functional units,” he said. With this new setup, it may become harder for outsiders such as customers, partners, investors and analysts to decipher Microsoft’s strategy and evaluate its performance, he said. In short, he fears there will be less transparency and visibility into the company. “I would have preferred that there was a clear message they were going to continue to manage and report by business. Whether they structure [the company] that way or not is less material,” Austin said. “The value of transparency is that it lets customers and investors make more informed decisions as to the level of accuracy or spin that are in Microsoft’s executive statements,” he added. IDC analyst Al Gillen views the plan with more optimism, saying Microsoft is making necessary, bold changes. “Microsoft’s core business is being undermined by changes in the market and the company needs to be more responsive and think about things differently than it has in the past,” he said. Among the main challenges Microsoft faces are the weak position of Windows in smartphones and tablets, where it lags far behind Android and iOS, and the increased competition against Office from rivals like Google that offer less expensive, cloud-hosted alternatives. 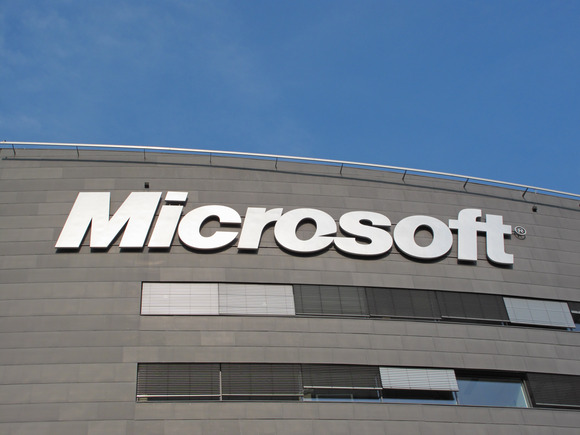 Microsoft has responded to those threats with Windows 8 and Windows Phone 8, and with Office 365, a suite that includes cloud-delivered versions of its productivity apps like Word, Excel and PowerPoint, and Web-hosted versions of its server products like SharePoint, Lync and Exchange. However, Windows 8 and its version for ARM devices, Windows RT, launched in October, weren’t well-received, prompting Microsoft to prep an update called Windows 8.1 that will be released this year. Meanwhile, Office 365 continues to battle Google Apps and other competing communication and collaboration suites. For example, Microsoft spent US$1.2 billion a year ago to buy Yammer and boost SharePoint’s enterprise social networking capabilities. The four new engineering teams are the Operating Systems Engineering Group, led by Terry Myerson; the Devices and Studios Engineering Group, led by Julie Larson-Green; the Applications and Services Engineering Group, led by Qi Lu; and the Cloud and Enterprise Engineering Group, led by Satya Nadella. “We’ll pull together into fewer core engineering groups, and we’ll pull together all the other functions and disciplines under leaders that work for me directly,” Ballmer said. The Operating Systems Engineering Group will focus on Windows development for gaming consoles, mobile devices, PCs and back-end server systems, including OS cloud services. With this realignment, Microsoft is seeking a unified, common Windows presence and experience across those devices and systems, which it doesn’t have today and which enterprise customers especially could find compelling. “It’s important and a positive move to integrate all operating system development into a single team,” Gillen said. At the Devices and Studios Engineering Group, Larson-Green, until now one of the two Windows OS chiefs, will focus on all hardware development and their supply chain strategy. This group will also be in charge of “studios experiences” including games, music, video and other entertainment. Microsoft seems interested in boosting its efforts to build its own hardware, building on its experience developing the Xbox console and the Surface tablets, thus mimicking to an extent Apple’s successful model. The Applications and Services Engineering Group will be in charge of applications and services technologies in productivity, communication, search and other information categories. It will be interesting to see how the realignment works in this group, since the Office stack and the consumer online services had traditionally belonged to separate groups. However, with Office 365, those lines are blurring, in particular with the recent decision to mesh Skype, which is primarily a consumer IM and VoIP service, with its enterprise equivalent, Lync. In the press conference, Qi Lu said that whether it’s Bing, Office or Skype, Microsoft applications are all about helping people complete tasks and get work done. Meanwhile, the Cloud and Enterprise Engineering Group will be in charge of back-end technologies, including technologies for data centers, databases and enterprise IT systems and development tools. Its leader, Nadella, had been in charge of the Servers and Tools group, which had been performing well financially. A focus for this group will continue to be the company’s Azure cloud platform. The Dynamics enterprise software products will continue to operate separately under Kirill Tatarinov, but report to Lu, Chief Operating Officer Kevin Turner and Tami Reller, the other former Windows chief who will now head the Marketing Group. As part of the plan, Craig Mundie will work on a “special project” until the end of this calendar year, and assume a consultant role starting in 2014. Office chief Kurt Del Bene resigned from the company Wednesday, though his official last day will be Dec. 31. Michael Osterman, from Osterman Research, views as positive the shift away from product-centric, siloed teams to a more unified approach that is focused on what customers need from devices and services. The reorganization may yield a sharper marketing focus and strategy, an area where Microsoft has at times been weak, Osterman said. Frank Gillett, a Forrester Research analyst, concurs. “This demonstrates a commitment to build an integrated, coherent Microsoft experience. It wasn’t incoherent before, but it also wasn’t well-coordinated,” Gillett said. What’s not clear to Gillett is how exactly this will be carried out, and he foresees it being a major endeavor. “I’m not seeing an overall head of products. That concerns me,” he said. Others view the “One Microsoft” effort with skepticism, especially if it results in a doubling-down on what critics call the “Microsoft first” strategy, which they blame for Microsoft’s reluctance, for example, to fully port Office to other operating systems like iOS and Android despite massive demand, in order to give Windows a competitive advantage. “[One Microsoft] should do wonders for CIOs who are all in for Microsoft, but it should strike fear in the heart of CIOs who were hoping that Microsoft would decouple Office from Windows,” Austin said. Over the years, Microsoft critics have suggested the company’s product lines are too diverse, and that certain businesses should be spun off as autonomous subsidiaries or even independent companies. Clearly, Ballmer has taken the opposite tack. The implementation of the plan should take at least three months, maybe more, said Gillen, who considers this the company’s biggest reorganization ever. Microsoft will need to continue tweaking the plan in the coming years based on market changes. “Is this the only and last thing they’ll have to do? No. They’ll have to continue responding to changes in the industry, and they’ll have to continue adjusting the organizational structure,” he said.